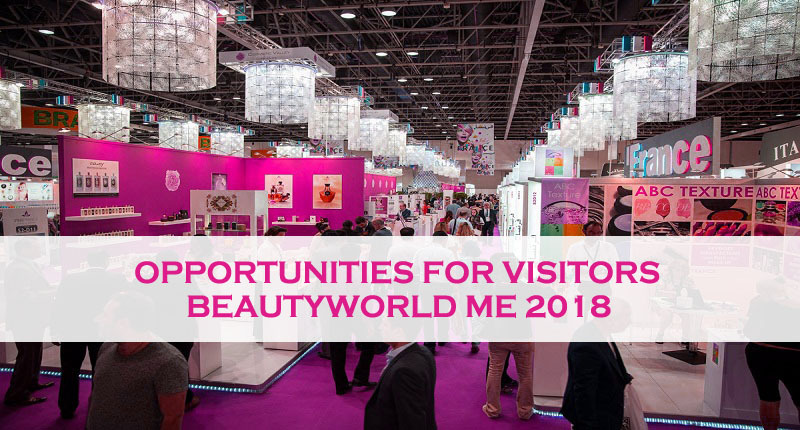 The growth opportunities for businesses participating in the Beautyworld ME are immense as they receive customers from all over the world and can market their products and services to the whole Middle East region and even several other countries in all the inhabited continents. It is the reason that famous and reputable companies from various parts of the world are becoming part of this grand show every year. But the benefits of one of the world’s largest beauty and fashion shows are not limited to the participating companies but it is a mutual benefit for both exhibitors and visitors also. It is the reason that the number of both exhibitors and visitors is increasing with every coming year. This clearly indicates that the specific exhibition is not only beneficial for businesses but also for visitors who want to purchase or at least get information about the best beauty products and services available around the globe. As we know that world’s renowned beauty companies participate in the Beauty World ME every year in order to get an exposure in the best market of Gulf area, so the residents and tourists in Dubai have an opportunity to either buy products or utilize services of such companies at reasonable rates. Here in this exhibition, the visitors also have chance to check all the big brands. They can easily distinguish them according to their products and services and the price they have to pay to obtain their services. By this way, they can get access to few of the best beauty products at a reasonable rate. They can also get awareness about different types of beauty brands that are operating in various parts of the world. This opportunity not only provides faithful clients to companies but the visitors can also get to know the services of a really good but rather unknown company. This can really make a close and strong bond between both parties (businesses and customers). This year, the Beauty World ME 2018 will also be attended by world’s famous beauty companies like best global fragrance companies along with companies providing organic beauty products and several others. So, visiting the Beauty World ME 2018 would allow one to get introduction of the products and services provided by these famous brands. You can contact Riz& Mona Consultancy via our WhatsApp # 971-56-9971225 to know complete details about visiting the Beautyworld ME 2018 from 8th to 10th of May 2018.